Stones litter the winding avenue to the Temple Druid. As the path ends an enormous oval of standing dark stones rises from the low clearing, shadows sweeping across them. 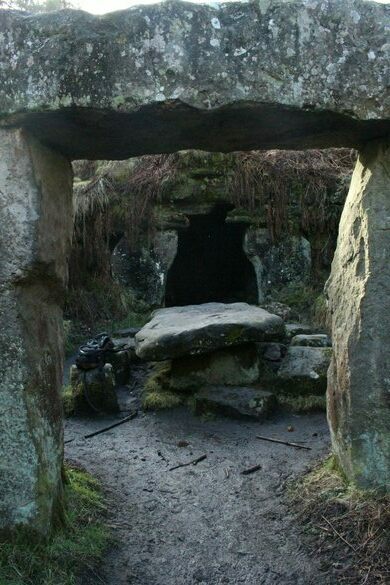 The hollow in the center is filled with rough-hewn boulders. Did an ancient roof once lie over the circle? 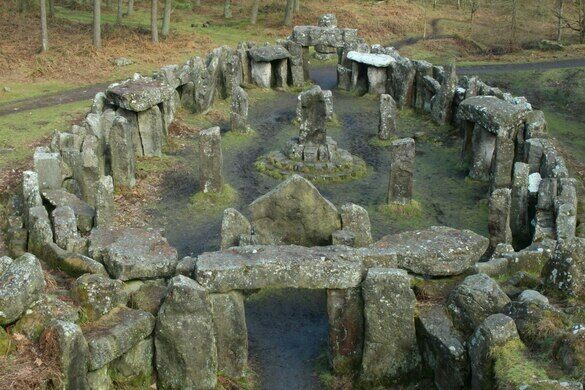 Did the wild bearded pagans make sacrifices on the stones? The Swinton Druids Temple is a modern folly, built in the 1820s on the orders of William Danby, the eccentric owner of the Swinton Estate. 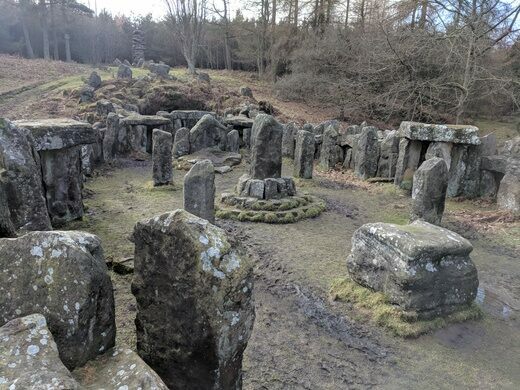 As an inventive solution to local unemployment, he decided to pay workers a shilling a day to prop up stones to create his own personal little Stonehenge. Once the task was complete, Danby set out a challenge, offering a salary for someone to live at the site for seven years as a hermit. No one passed the test, not even one possibly apocryphal figure who managed four and a half years before giving up. 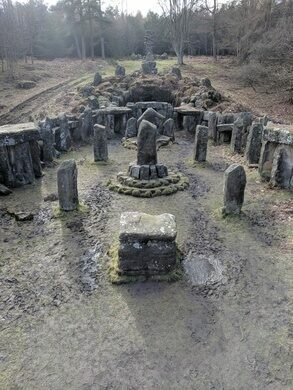 Today the artfully arranged stone circle is visited by new-age pagans as a pilgrimage on the summer solstice, and by visitors to Swinton as a stopping spot for a quiet cup of tea. The only surviving leech house in the United Kingdom was a home for bloodsucking worms until the 1900s.